Fitness, adventure and wellness holidays are on the rise, and for very good reason. Because they can be a more memorable and meaningful experience, plus they help you to feel freeking awesome. Walking away from a holiday feeling rested, rejuvenated with your inspiration for life re-ignited, instead of just feeling like you need another week off work to get over it, yeah I know you have felt that one before. 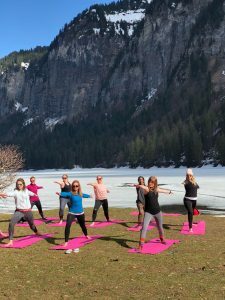 And while adventure, fitness and wellness can create incredibly different experiences, here at The Works we entwine all three elements in what we hope will be the experience that will stay in the memory bank for some time. Here are our top reasons why we think it may be time for you to choose a wellness holiday this year. 1# Challenge yourself to do something different, don't settle for doing the same old things. We get it, a lot of people don’t like change, it’s easy to stay within your comfort zone doing the same things year after year BUT when you challenge yourself to do something different, you start to take so much more away from your experiences. New people, new places and new things. Going back home with a feeling of satisfaction, of accomplishment, enjoying the thrill of excitement. Like hurtling across the valley on a zip wire at 100km per hour 240m up off the ground on the Fantasticable in Chatel. 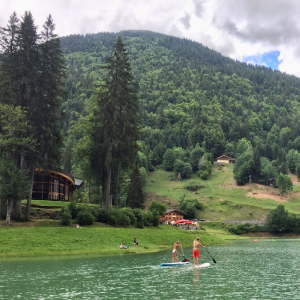 Or for those that don’t require quite as much adrenalin it could be just to enjoy a paddle board experience on Lac Montriond, or if you join us in the winter for skiing or snowboarding of course. 4#Kickstart Your Healthy Intentions- We often have all of the best intentions of wanting to eat a little better, move a bit more, start that meditation practice we keep meaning to try out because you know it will probably help you to sleep more and feel a little bit less stressed, but yeah life happens and it can all seem a little bit like too much at once. We include all of these healthy habits into your stay with us. Again without much thinking or effort you gain a gentle introduction to these wellness practices and in a way that you can actually walk away feeling like you could now go and integrate them into your day when you head back to the real world, mainly because you get to experience how good they made you feel. 5# Pure relaxation- While some of our activities may get the heart rate going, our focus is also to help your body and your brain to get into a state of relaxation. Spending time in nature among forests, trails, lakes and waterfalls is scientifically proven to the help the body relax, lower your heart rate, blood pressure and any feelings of anxiety and stress. We have all experienced the benefits of getting out into the great outdoors but reading the book The Nature Fix by Florence Williams creates a great investigation into the healing benefits of nature, from Forest Healing programs in South Korea to using nature to heal PTSD in post war veterans and ADHD in children. The science showing that being in the great outdoors is good for the brain and the body, so getting more access to it, can only be a good thing. Plus you can even add to the experience with delightful treatments and massages, all the things that make your body just go ahhhhhhhhhhhh! 6#Meet new people - A lot of people who come and stay with us on retreat tend to be solo travellers. And while this can feel a little intimidating, actually going away with people you don’t know is an incredible opportunity to open your mind and your network to meeting new people. I myself (as a natural introvert) used to be terrified of going away on my own with people I didn’t know. After pushing myself into it, it soon became one of my favourite things to do and would get excited about the prospect of meeting new people that I wouldn’t have otherwise ever probably come into contact with. I love walking away from retreat and seeing people having made new connections. While the opportunity arises to switch off from work and home stuff, the natural flow of conversations means it does comes up. 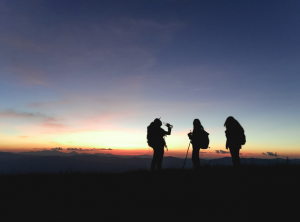 it’s amazing to see new ideas flourish as each person share stories of their own lives that often serve to provide inspiration to others in the group. So while another boozy beach holiday may seem tempting too, there is a whole load more to be gain by a wellness holiday with us that will stay with you a lot longer than your tan will last. CLICK HERE to check out our retreat schedule.